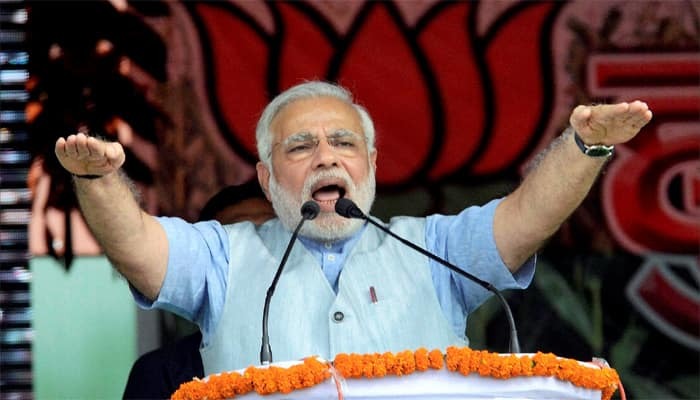 Prime Minister Narendra Modi is slated to address four rallies in poll-bound Karnataka. He started the series of rallies with Bangarpet where he launched a scathing attack on Congress party saying it was Karnataka's turn now to bid farewell to the grand old party. Congress only wants to remain in power. In '78, Indira Ji came here, took your votes but never cared for people of this region. Congress never thought about the welfare of people of Chikmagalur. Sonia Ji too contested from Bellari, but what happened to promises made here, PM Modi questioned while addressing a rally. What is the reason that small and micro scale industries are slowly being shut, says Rahul Gandhi. We will change whatever law is troubling common man, says Rahul Gandhi. We had brought Aadhaar card with the thought of providing ease to you, but the NDA government considers it a mean of controlling and monitoring. And you are being penalised because of their intentions, says Rahul Gandhi. Congress president Rahul Gandhi interacts with women employees of garment industry in Bengaluru. Even we have a remote control, but it's with the people of India. People of India are my high command, says PM Modi in Bangarpet in Karnataka. Dr Manmohan Singh was Prime Minister for 10 years, but his remote control was with madam in 10 Janpath, says PM Modi in Bangarpet in Karnataka. They believe in working for 'namdaar' and not for 'kaamdaar', says PM Modi in Bangarpet in Karnataka. Dardaris in Congress are loyal to just 'Namdaar' family in Delhi, they are not loyal to people, says PM Modi in Bangarpet in Karnataka. The mindset of Congress is such that people have given them the contract to indulge in dynasty politics and corruption, says PM Modi in Bangarpet in Karnataka. Congress has decimated the pride of Karnataka in the last five years, they are spoiling the future of the state, says PM Modi in Bangarpet in Karnataka.